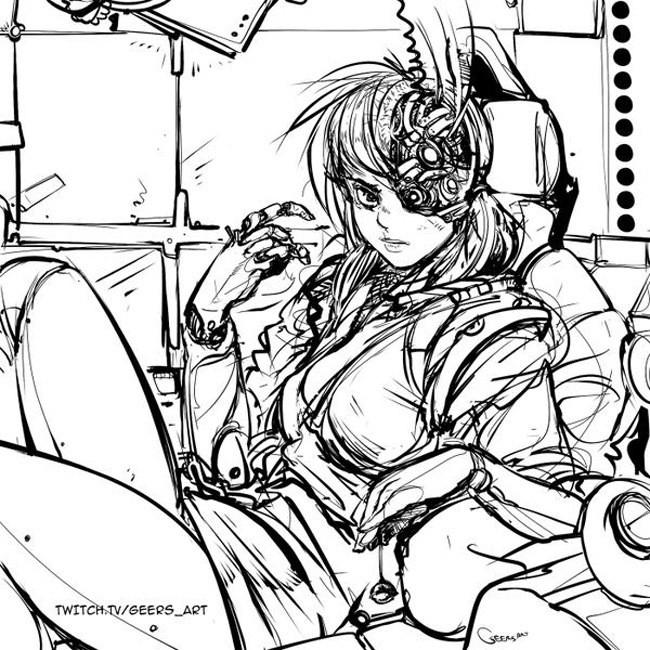 Last night Geers continued the third Twitch Subscriber Artwork on Twitch. Before he jumps into the sub art, he draws a quick warm up sketch and then continues onto the Subscriber artwork. He puts in a good amount of work on the continuing art piece, catch the VOD below.